Teresa Dormitorio has been a research associate in the area of poultry diseases at the department of Poultry Science in Auburn University for the past 25 years. She obtained her M.S. and PhD degrees while working full-time. She currently has 28 publications (8 as senior author); 25 oral presentations in scientific meetings; and is a co-author of a book-CD (Advanced Laboratory Techniques in Avian Medicine, and a book chapter (Avian Influenza and SARS). She has received several awards including: 'One of Ten Outstanding Graduate Students (MS level) at Auburn University'; 'Overall outstanding Graduate Student Award for the College of Agriculture in honor of academic excellence'; and two of Poultry Science Association's 'Student Research Paper Certificate of Excellence Awards'. 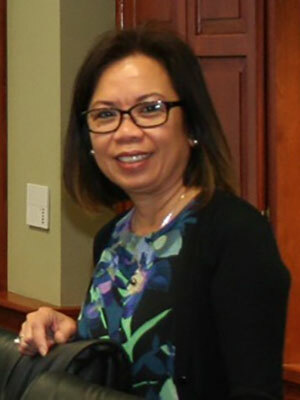 She is the current membership-VP for the Filipino American Association of Columbus, GA and is a lector at St. Michael's Catholic Church. No viable virus was re-isolated from the AIV-infected eggs after 24 hours of composting when the internal compost temperature reached 57 C. At 30 C room temperature, AIV survived for 3 days. Results showed that optimum composting conditions and procedures are required to eliminate AIV in eggs within 24 hours.